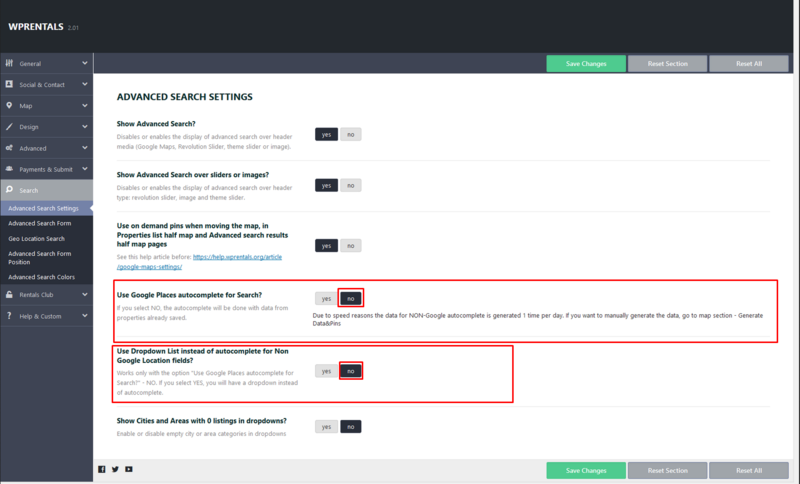 Due to speed reasons, the data for NON-Google autocomplete is generated 1 time per day. 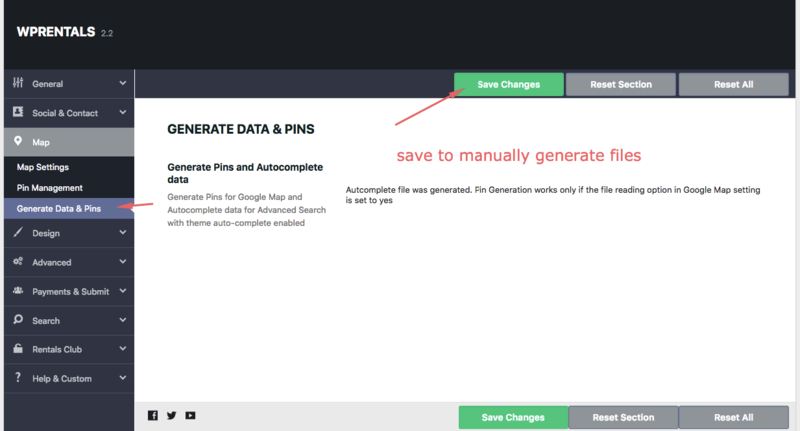 Remember that if you want to manually generate the data, go to map section – Generate Data&Pins. 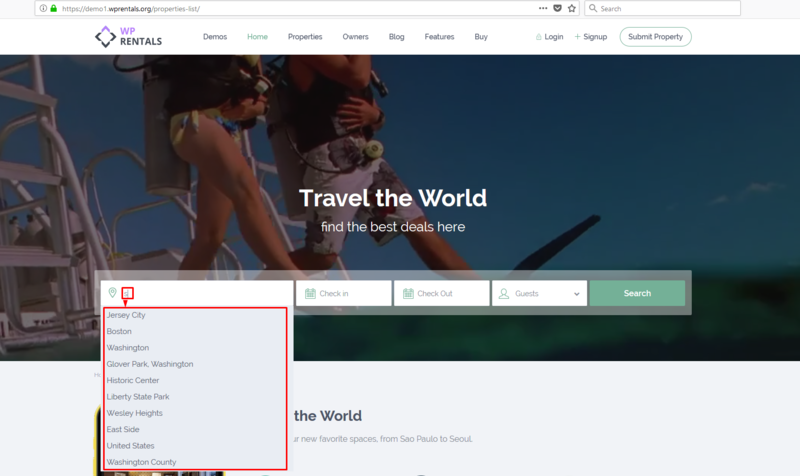 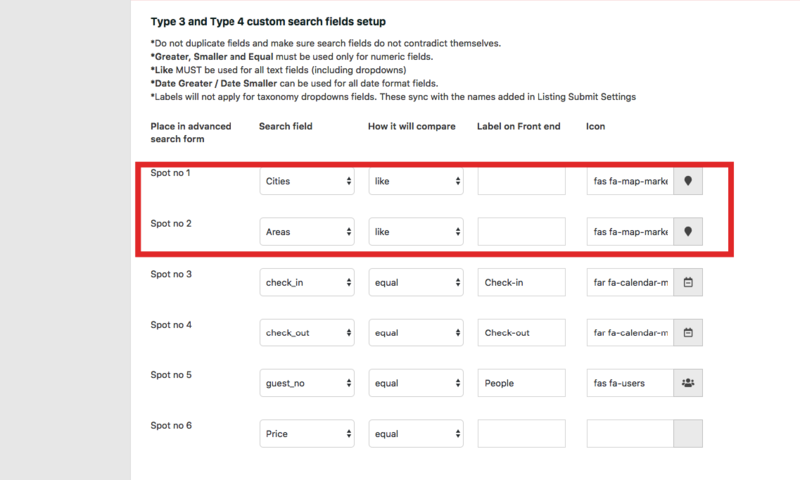 If use Google places as places type in search form user will have to select the city based on Google Places auto-complete list as displayed on this screenshot. The last option applies only for search type 3 or type 4. 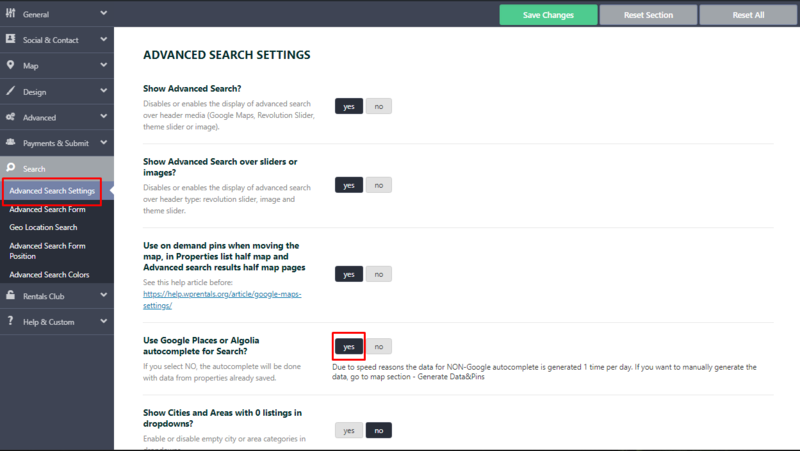 Cities and Areas can be added as separate dropdowns in admin and they show as an independent dropdown in the search form.